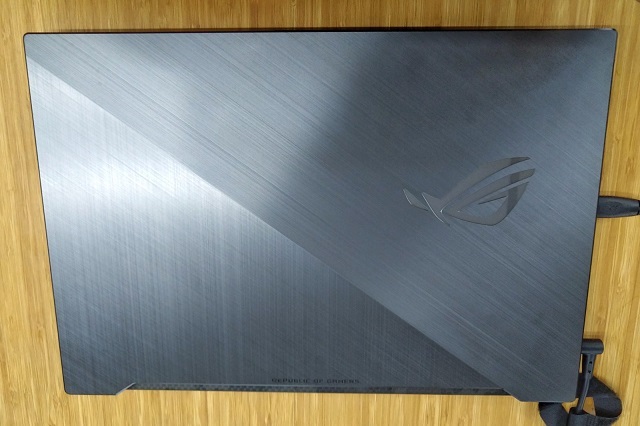 Here's our hands on experience of the ASUS ROG Strix GL704 SCAR II. 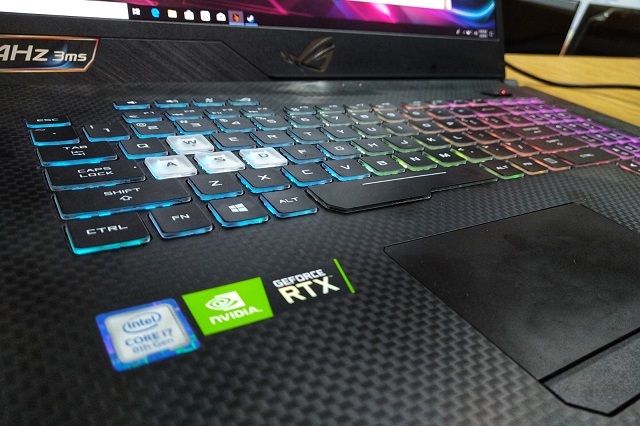 With the availability of the NVIDIA RTX graphics platform, more gaming brands are trying to keep up with the demand of the gaming industry, and ASUS Republic of Gamers is no exception. Being the leading gaming brand in the country, the ASUS ROG is spearheading the upgrade to the most anticipated RTX graphics. 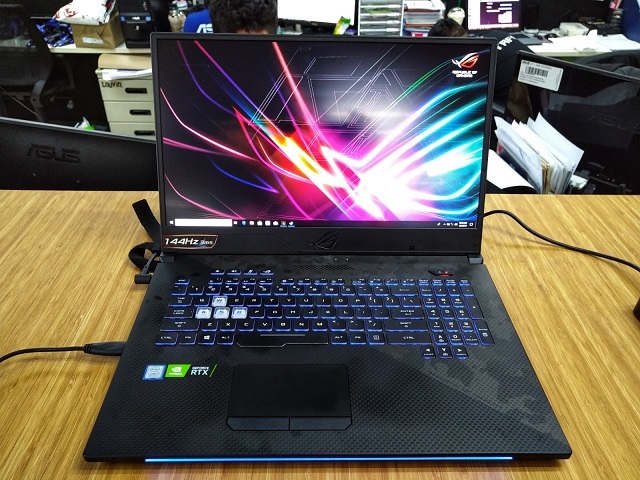 The ASUS ROG Strix line is definitely one of the most lucrative lines in gaming, and its SCAR sub-brand gets the first nod to RTX upgrade with the introduction of the ASUS ROG Strix GL704 SCAR II. Design-wise, you can differentiate the new GL704 to the previously released models of SCAR. The newcomer comes with the same chassis and flare as the previous machines. Thus, we are still treated with the gunmetal gray greatness of the lid with opposing brushed patterns that meet at the diagonal seam in the middle. 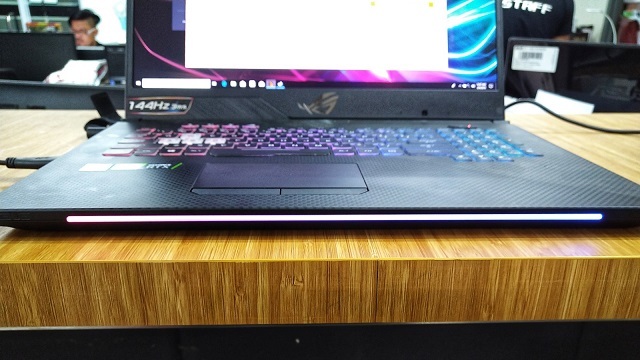 The off-centered ROG logo still bears a devil eye that glares with RGB colors. On top of that, the chin of the laptop is still an RGB-zone which makes it even visually cooler. When it comes to the display, the ROG Strix GL704 SCAR II still rocks the world's first 144Hz display. The bezels are still welcoming to those looking for thinner profiles even though this new beast comes with a 17-inch display. But of course, you wanted to have a SCAR due to its on-point precision in targeting and response time. We'll this model will definitely not disappoint. The IPS panel is very vivid and more engaging with the NanoEdge screen. Pictures are crisp and have good color saturation. Plus, viewing angles are welcoming as ever. 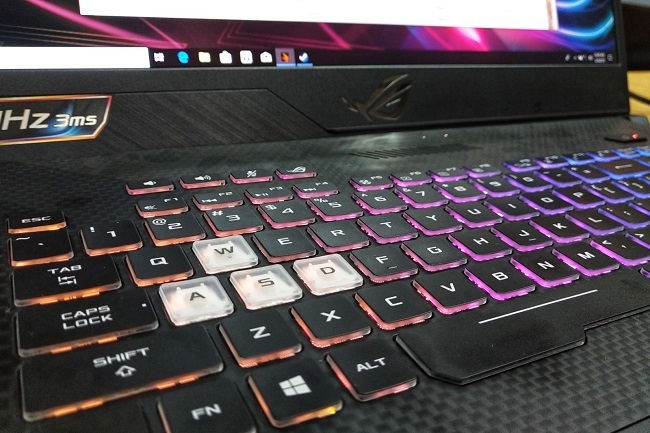 The ASUS ROG STRIX GL704 SCAR II employs a full-fledged desktop style keyboard which offers comfortable typing experience. Another cherry on top is the highlighted WASD keys for shooting game movements. The keyboard is still enforced with RGB backlights which can have different colors or lighting patterns. You can customize the RGB zones using the ROG Aura Sync software. That being said, you can also set and sync all your RGB effects across your gaming ecosystem i.e. gaming mouse, ROG logo, RGB strips, etc. 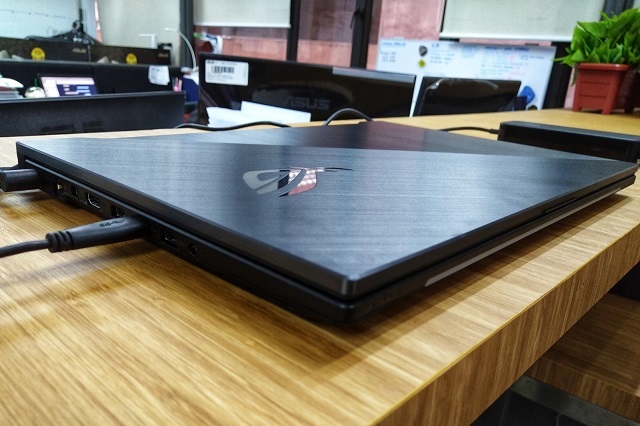 Just like its predecessor, the ASUS ROG Strix GL704 SCAR II dons a sophisticated cooling system. Aside from keeping high-end components cooled by maintaining the best airflow inside the machine, the unit employs an anti-dust cooling system which, from the name itself, protects your critical parts from dust and other foreign objects. Our unit was previously subjected to 3D Mark Time Spy benchmark and it clinched an overall score of 6960 with a total graphics score of 7288 - that's pretty impressive for an RTX 2070-powered machine. 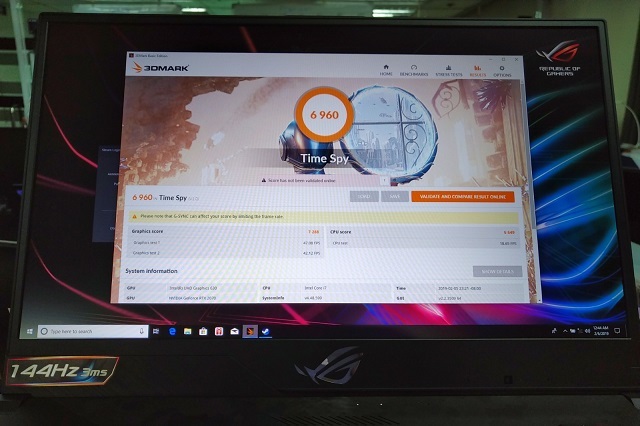 From the looks of it, the ASUS ROG Strix GL704 SCAR II consistently pitches performance for shooting games which demand accuracy and on-point precision. The GL704 delivers with the first-in-its-class refresh rate of 144Hz and 3ms response time. It's definitely a gaming laptop that you would carry around with its gaming-inspired aesthetics fused in a trendy look. I am also not overlooking the fact that the display is sleek and is serving great visuals. 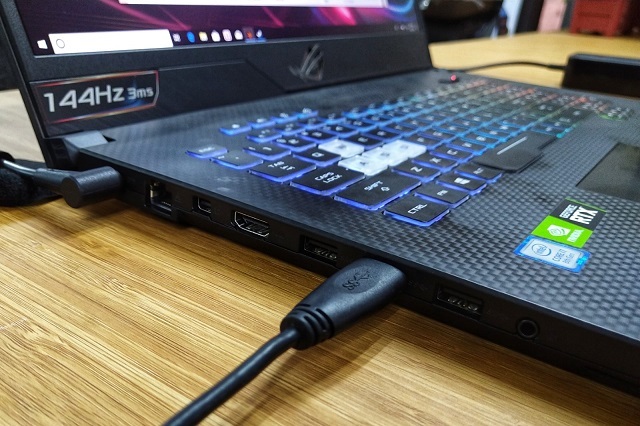 The ASUS ROG Strix SCAR series has not only clawed its way in the gaming scene, it also cemented its position in this specialized gaming segment.